Size : 3.9 x 4.8 inches. / 10.0 x 12.2 cm. 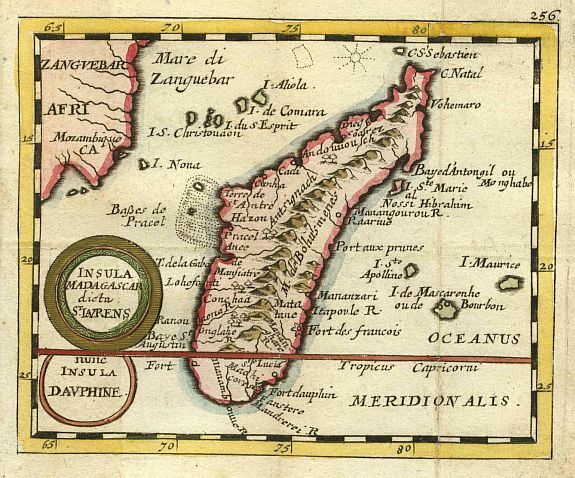 Description :Nice miniature map of Madagascar.